When you think of things to do in South Pacific countries, hiking might not be the first thing to cross your mind. However, if you end up in the Kingdom of Tonga and feel like walking around a bit, ‘Eua offers the best chances for hiking in Tonga. 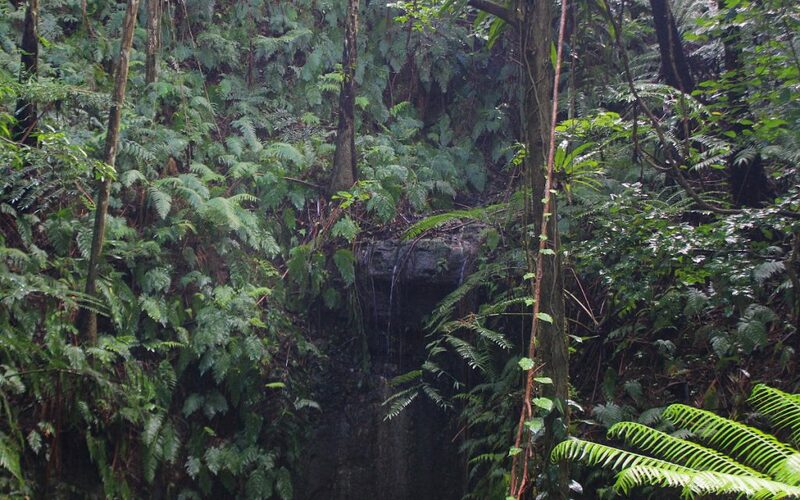 A small waterfall drops down to the so-called Smoking Cave in central ‘Eua. Tonga is one of the smaller South Pacific countries. 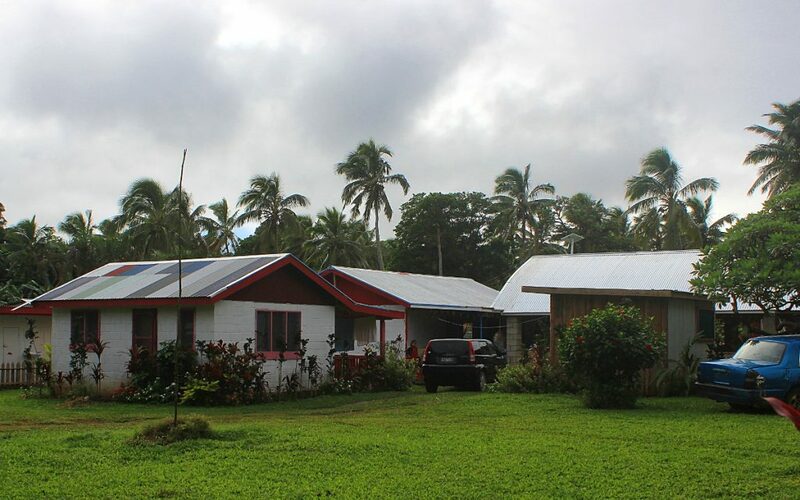 The country can be roughly divided to three island groups: Tongatapu group in the south, Ha’apai group in the middle and Vava’u group in the north. The population is just over 100,000, and most of these people live in the main island of Tongatapu. The regions are very far apart, and taking a ferry from one island group to the next takes a full day. 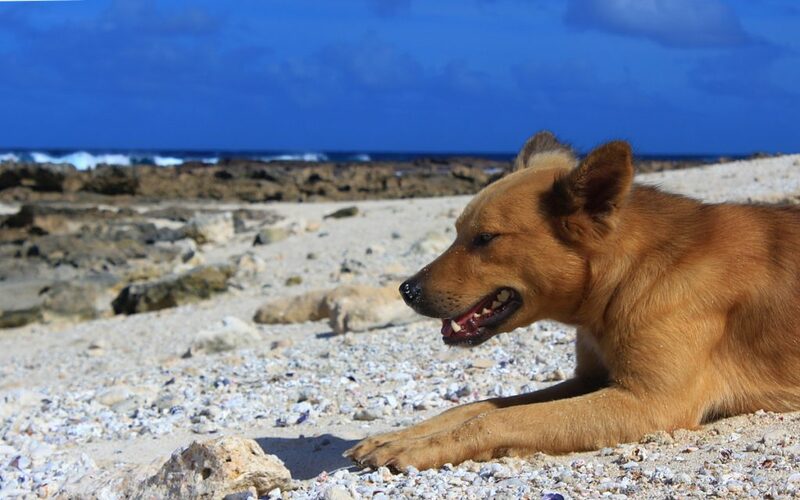 Luckily, getting from Tongatapu to ‘Eua isn’t that difficult, as the two islands belong to the same group and are located right next to each other. The ferry from Nuku’alofa, the capital to Tonga, to ‘Eua takes roughly 2½ hours and costs 22 TOP (8 €). The main ferry, MV ‘Onemato leaves daily from Monday to Saturday at 11 am. Another ferry, MV ‘Alaimoana, leaves on Tuesday and Thursday at the same time. Both ferries depart from Vaua wharf, about 2 kilometers east from the center of Nuku’Alofa. This being Tonga, it’s better to double check the departure time of the ferry. The website of Friendly Islands Shipping Company should have the latest timetables, and you can also call the company or ask your guesthouse to confirm the departure time. The ferries usually leave a bit late, so expect to be in ‘Eua after 2 pm. 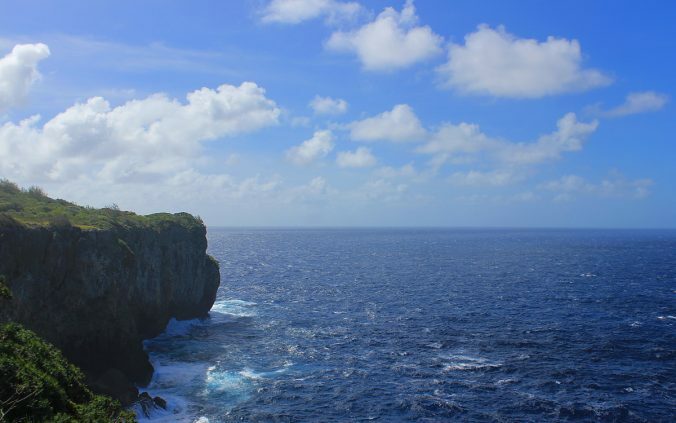 The seas can be a bit rough once the ferry gets further away from Tongatapu – if you’re prone to seasickness, keep your pills nearby and your eyes on the horizon. And if you want to avoid the ferry trip altogether, Real Tonga offers a 10-minute daily flight between the islands. That’s one of the shortest scheduled commercial flights in the world! A natural rock archway. In traditional Tongan mythology, the archway was made by the spear of Polynesian god Maui. Most of the hiking paths follow small dirt roads. Why is ‘Eua the Best Place for Hiking in Tonga? 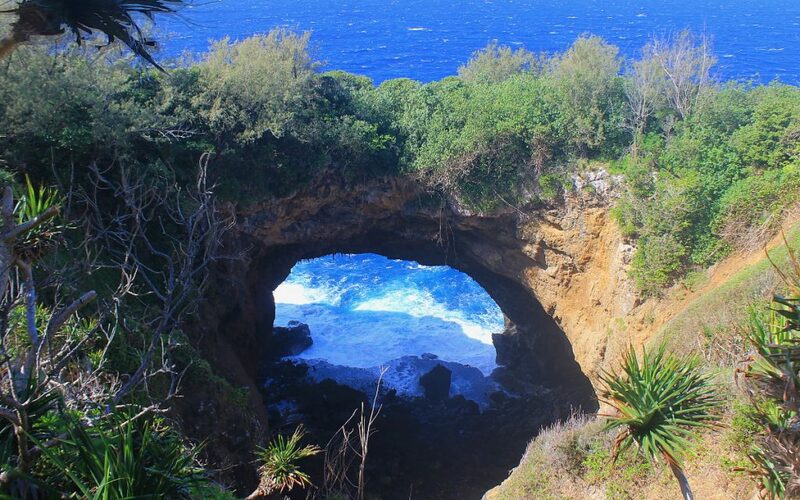 It’s possible to do day hikes on other islands of Tonga. 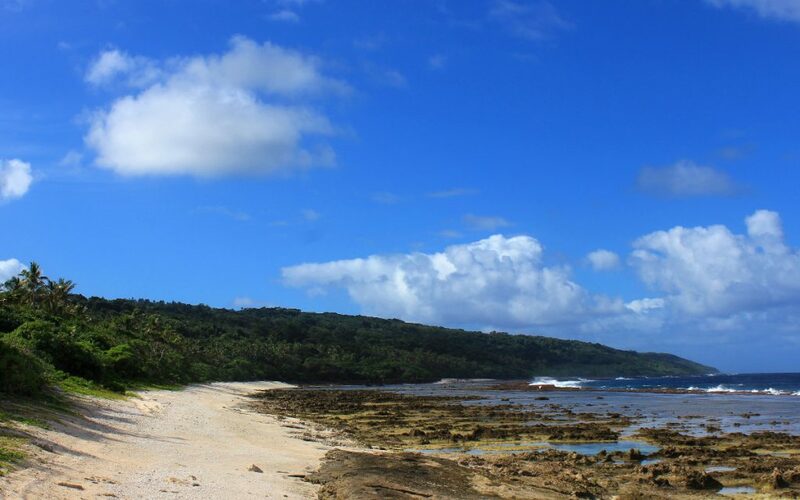 For example, walking around Uoleva in Ha’apai group during the low tide takes roughly three hours. 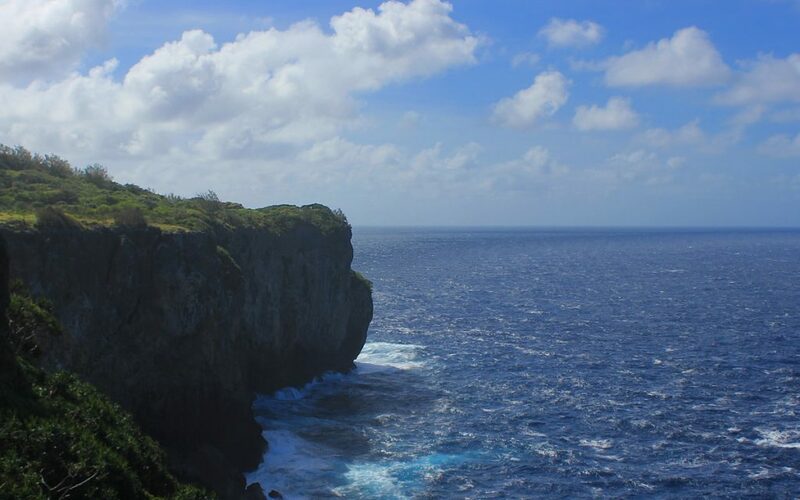 However, the varied landscape of ‘Eua makes it the best place for hiking in Tonga. ‘Eua is the second biggest island of Tonga after Tongatapu. That might not say much, but let’s say that the island is too big to be walked around in one day. The oblong island is roughly 20 kilometers long and 3-8 kilometers wide. Most of the villages are located on the main road that goes through the island. 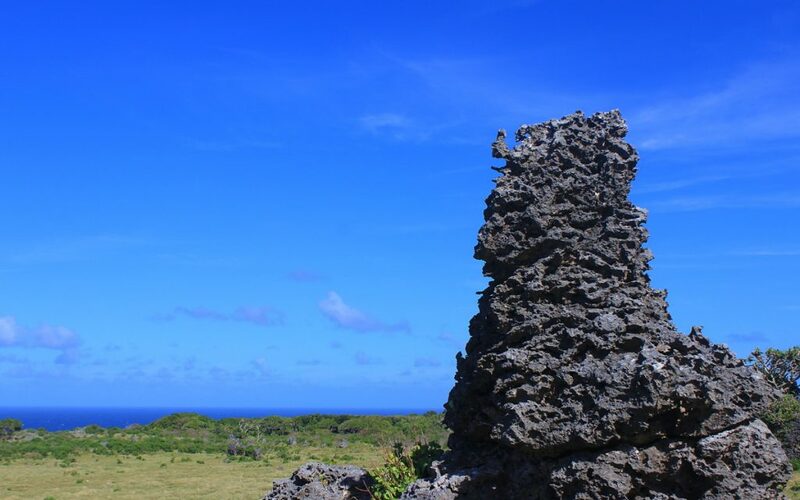 While the main island of Tongatapu is very flat, the terrain of ‘Eua is more rugged. The ‘Eua National Park on the east coast even has some hills and cliffs! Although you’ll mainly be following dirt tracks, there’s a surprising amount of variety in the landscape. ‘Eua National Park has dense forests, while the open plains near the southern tip even reminded me of Ireland. Taina’s Place is located near the center to the island. The massive meals at Taina’s Place cost 20 TOP (8 €) per person. There are just a few accommodation options in ‘Eua, Tonga. Most of these accommodations are very homestay-ish, and unless it’s the whale watching season (late July to early October), you might just be the only guest at the property. I originally tried to stay in a guesthouse called The Hideaway at the west coast, but the place was empty when I arrived, so I switched to Taina’s Place in the middle of the island instead. Fortunately Taina’s Place is very close to ‘Eua National Park, and it probably offers the best starting point for day hikes in ‘Eua, Tonga. The villages of ‘Eua are small, and there aren’t many thing available in the tiny shops. 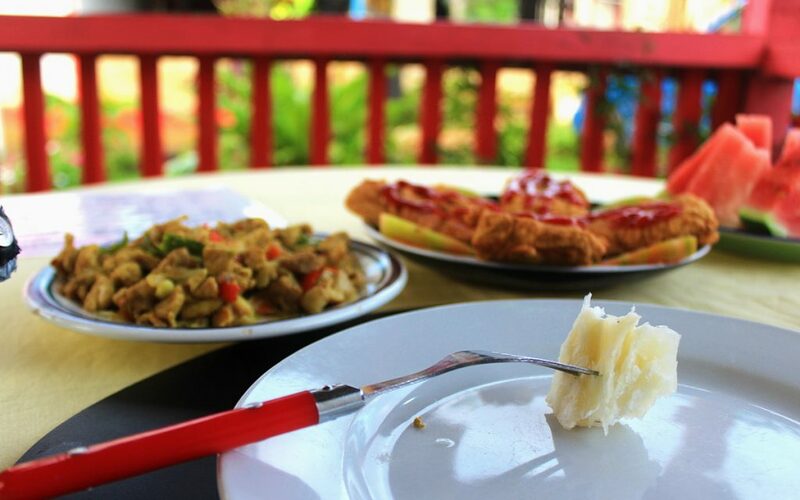 It’s better to buy most of your food from Nuku’alofa or ask your guesthouse to prepare meals for you. And if you do buy groceries from Nuku’alofa, do not forget them on a plastic bag on the harbour in Nuku’alofa like someone else did. Taina’s Place has around 20 dogs. One of them joined me for a long hike to the southern tip of the island. The dog had clearly done the hike before: it chose the right paths before I did. My favourite hiking trail in ‘Eua went to the southern tip of the island. The beginning of the walk, however, is a bit boring: unless you hitch a ride you have to follow the main road for most of the way, which takes a few hours. You can take a sidetrack to Ha’aluma Beach along the way, but most of the stunning views are reserved to the end. Once you reach the end of the road, you pass a gate to a very different landscape. First, you’ll see open plains with rock gardens and freely roaming horses. Later on, you get to see beautiful cliffs and a natural rock archway as you keep following the trail. Coastal cliffs near the southern tip of ‘Eua. Long time ago, these large rock formations used to be coral. Volcanic activity has lifted the rock garden above the ocean. Another popular day hike in starts right behind Taina’s Place. 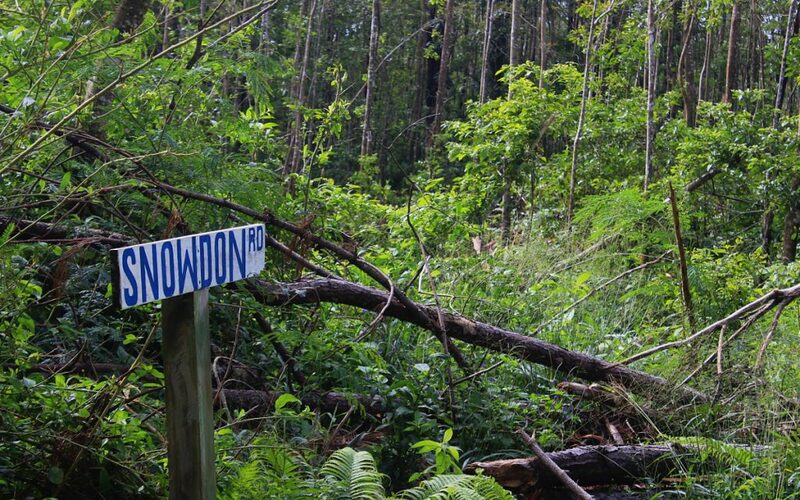 This path heads east to the hills of ‘Eua National Park, although it’s a bit difficult to keep track of your whereabouts. You can follow dirt roads, but it’s hard to know which side roads you should take to see the sights. Some of the small roads have signs, but the names are not very useful when all maps fail to mention them. 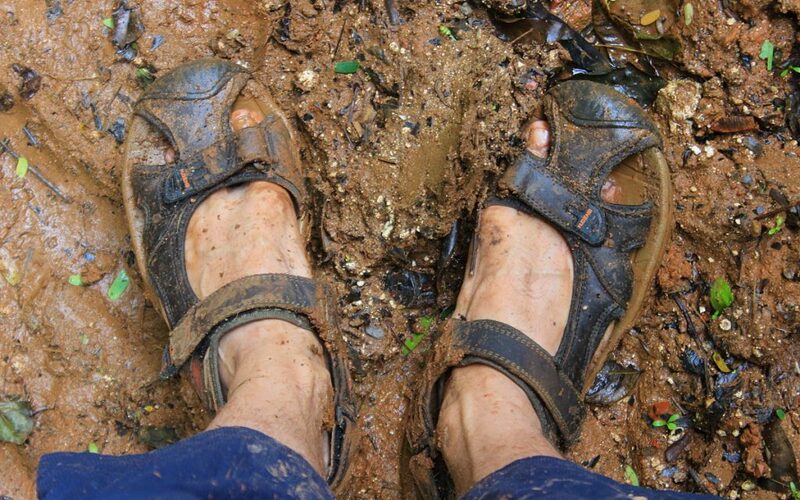 Walking in the mud after rain can be a bit challenging. MAPS.ME (also known as “the offline map application that’s way better than Google Maps”) offers surprisingly accurate maps of the region. It’s not perfect, but you should definitely download the app for hiking in Tonga. 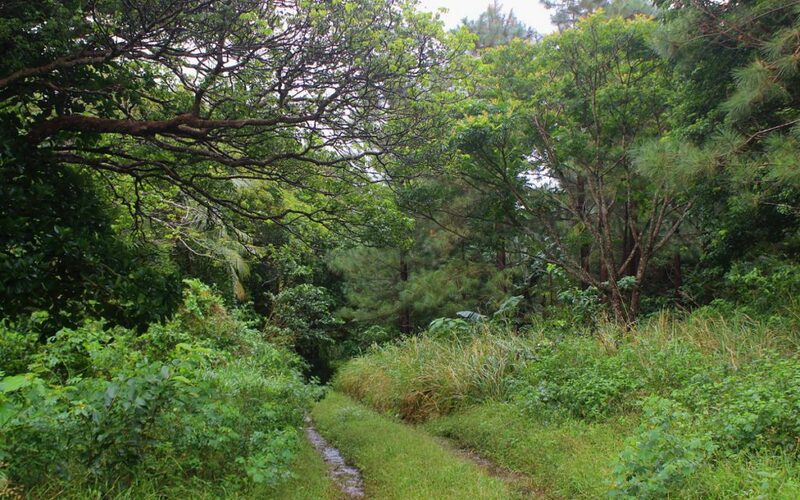 Besides these two paths, there’s just a few more hiking areas in ‘Eua, Tonga. You can make an easy and short walk to Fangalahi Beach on the west coast. There’s also lots of lookouts, beaches and caves near the northern tip of the island, although I didn’t try these paths myself. I heard that some of these paths can be quite tricky to follow. There’s very little guidance on the hiking routes of Tonga. Following the main roads is easy, but the smaller paths are rarely marked in any way. The guesthouses offer simple, hand-drawn maps of ‘Eua island. Still, you should always keep MAPS.ME ready on your phone, as the other maps only give a general idea of the paths. You can hire guides from the guesthouses if you want to find see places that are harder to spot. Miss ‘Eua competition. Different guesthouses and even the local hospital had their own participants. The competition was held in the local high school. I must have been the only Western tourist in the audience. I stayed in ‘Eua for three nights, which gave me two full days of hiking in Tonga. I could have also hiked on my last day, as the ferry back to Tongatapu leaves at (read: after) 4 pm, but I decided to take it easy. 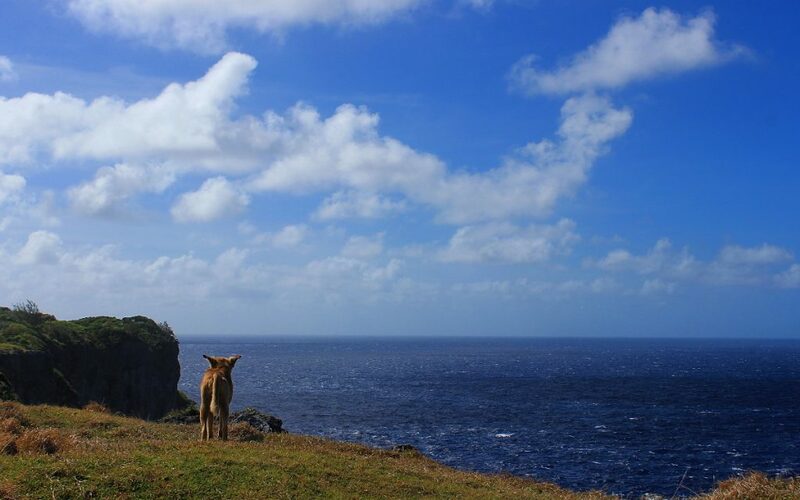 If you’re going to ‘Eua island for hiking, staying for three or four nights should be enough. Besides the treks, there’s not that many things to do in ‘Eua island exept hanging out and watching the local way of life. There are some diving spots around ‘Eua and you can go whale watching if the whales are there, but that’s about it. I got lucky with my timing, because I got a chance to visit ‘Eua Festival in June. 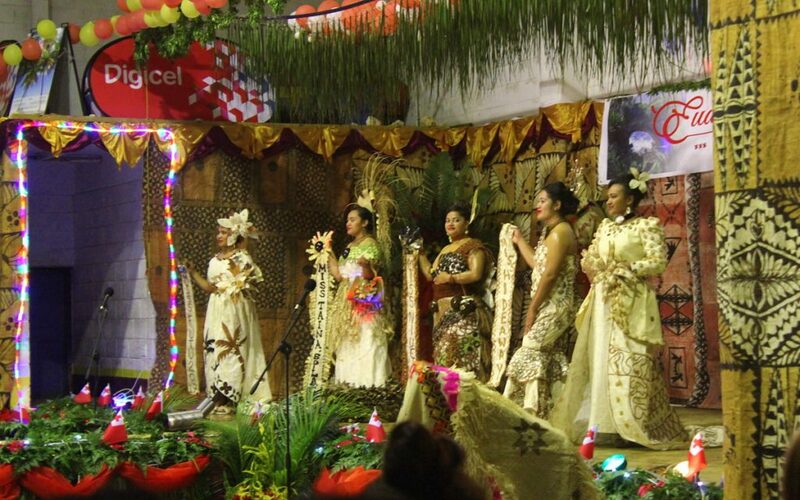 In this festival, the locals chose Miss ‘Eua to represent their island in the national competition. 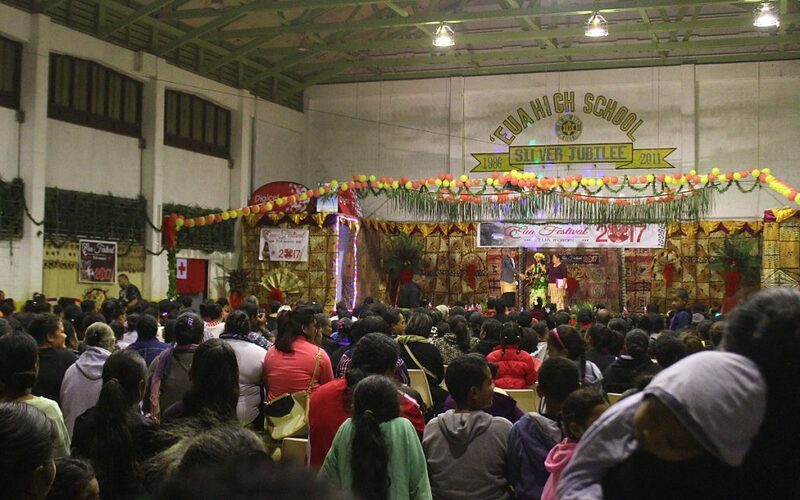 The beauty pageant contest is quite different than the ones in most countries – instead of slim models, Tongan competitors have a lot more meat around their bones. Tonga is one of the most obese countries in the world, and this also shows in their traditional beauty standards. 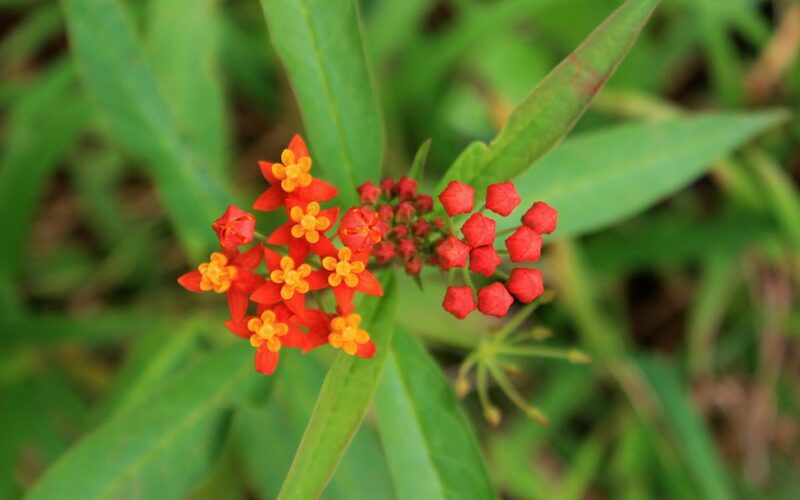 The nature in ‘Eua is very lush, although there aren’t too many flowers to be found. 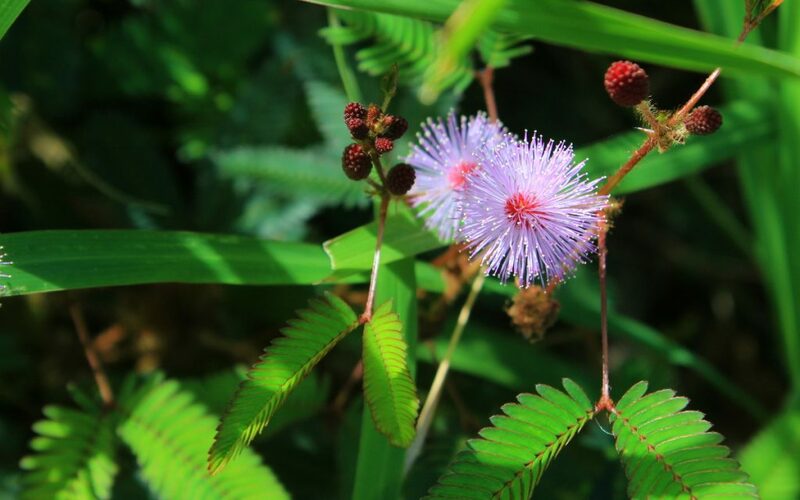 At least Tonga features Mimosa pudica aka Touch Me Not, my favourite plant in the world! The leaves of the plant fold inwards when touched. I wasn’t originally planning to go to ‘Eua in Tonga. I was supposed to go to Ha’apai, the island group in the middle of the country, but the ferry was fully booked. Instead of walking back to the town from the harbour, I just decided to change my destination on the go. I think that serves as a good lesson about traveling in Tonga: don’t plan a tight schedule, it won’t work out. Just go with the flow, because that’s the way to live on the South Pacific islands. Great post and tips! We are headed there tomorrow!